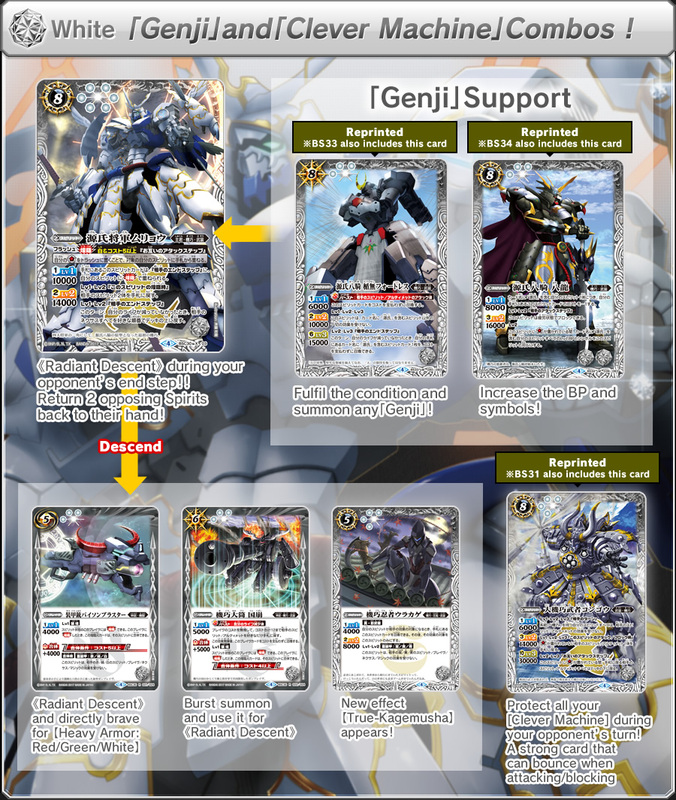 With the introducing of the new [Genji] X rare, it allows [Genji] and 《Radiant Descent》 to combo perfectly and give rise to a new form of fighting style ! 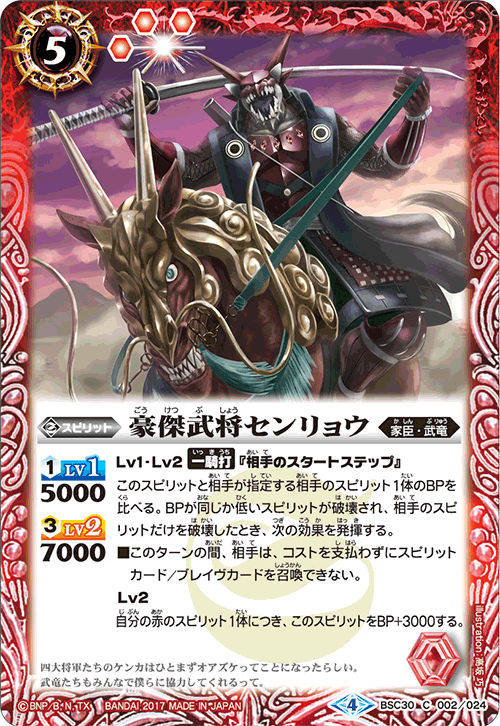 Of course, It works perfectly well with the past [Genji] that is not included in this set too, perfect for past players. 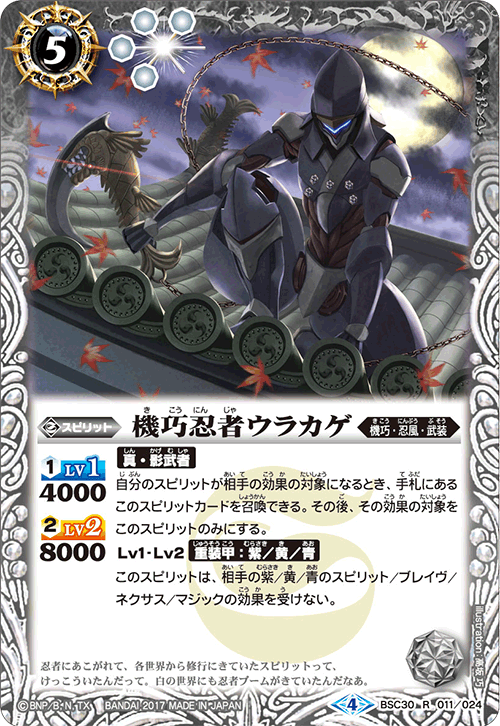 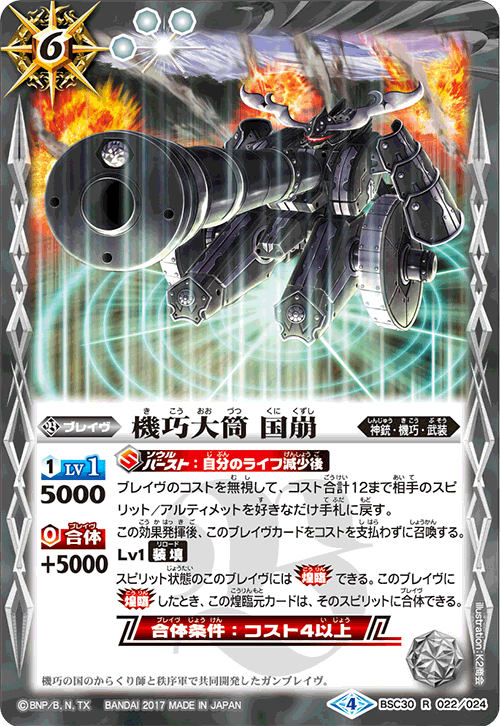 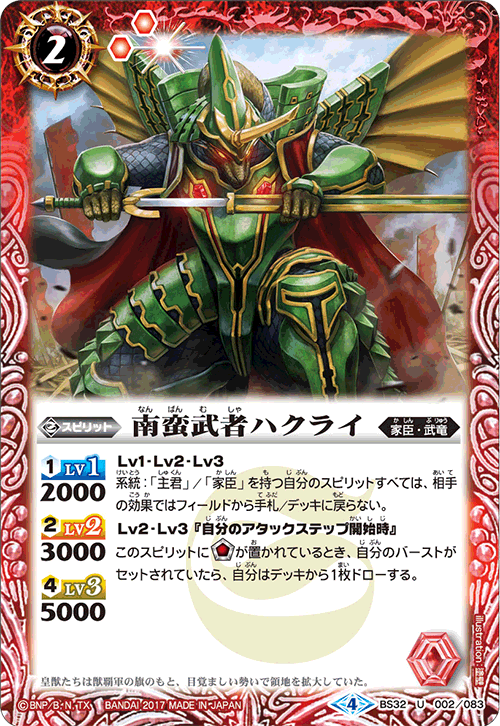 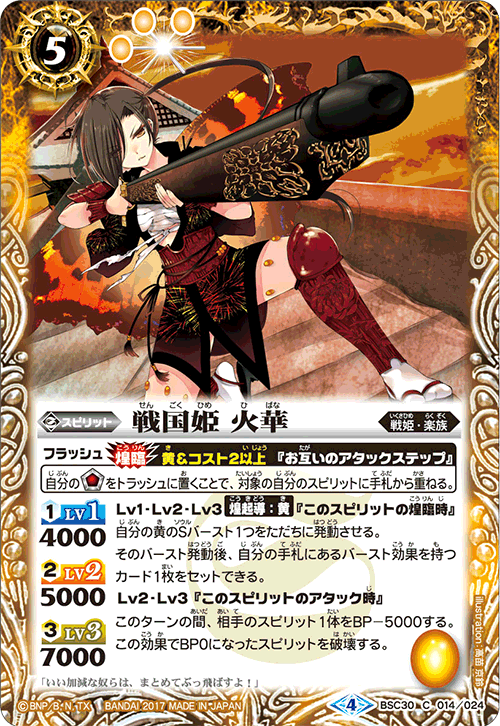 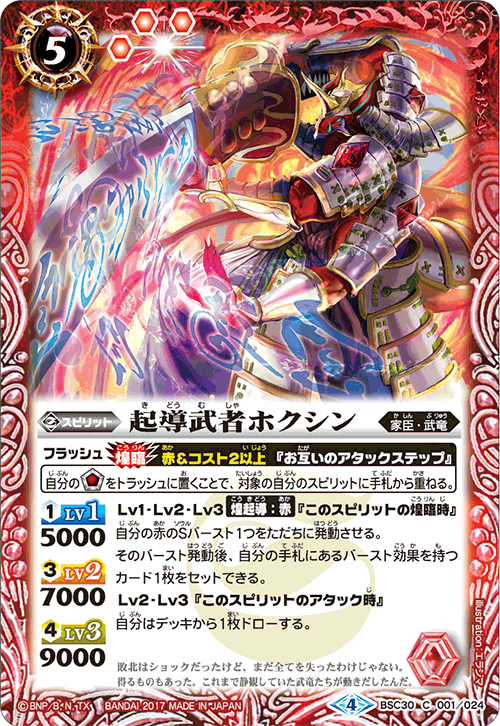 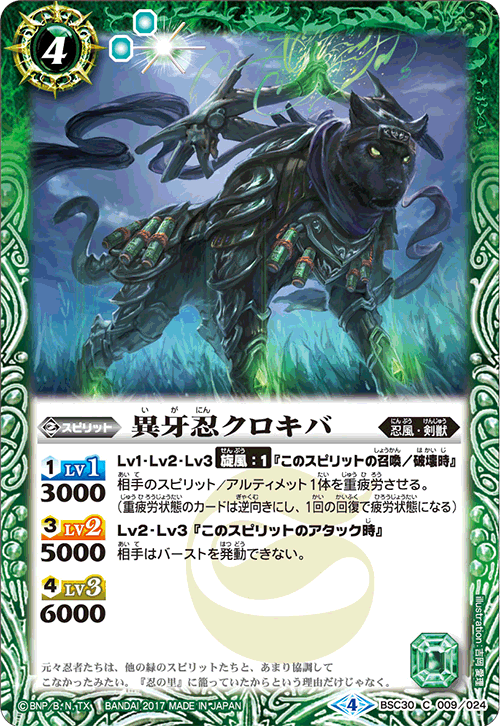 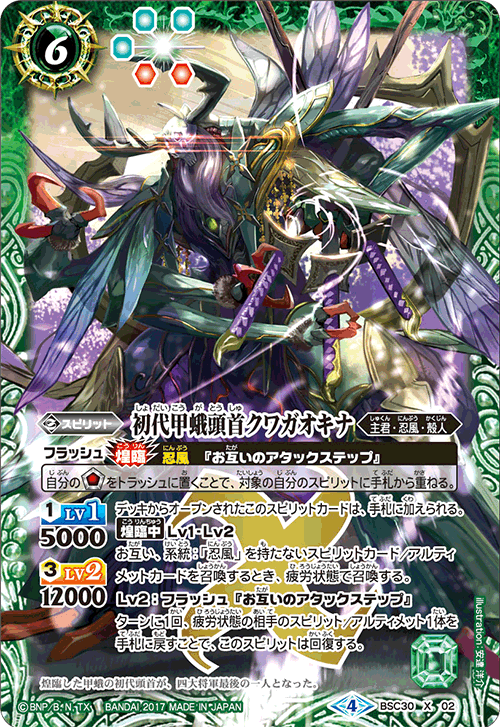 In addition, the new [Clever Machine], [The Clever Machine Ninja, Urakage] can definitely benefit your deck in many ways! 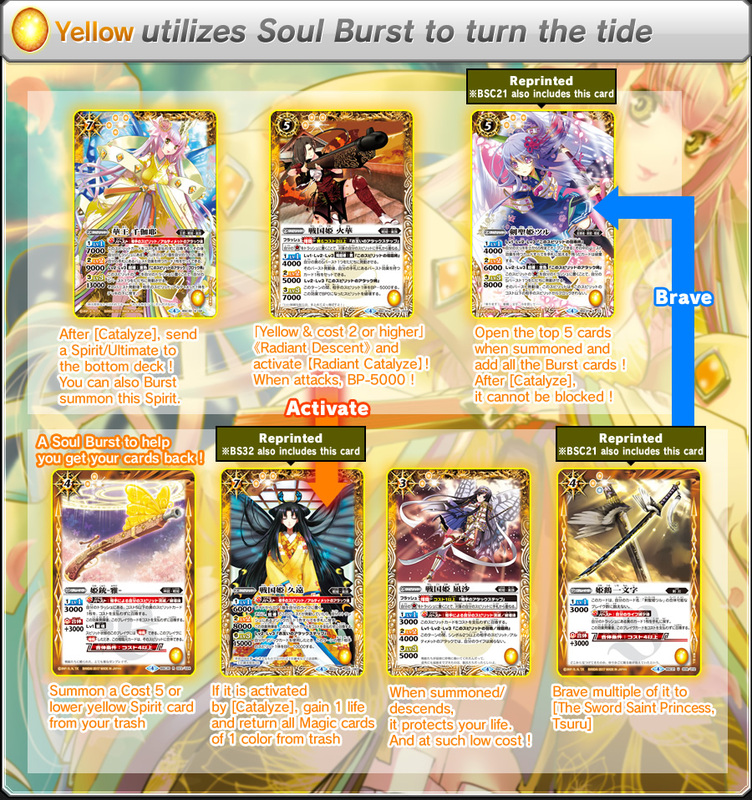 There are many [Soul Burst] cards that allows Yellow players to be very versatile. 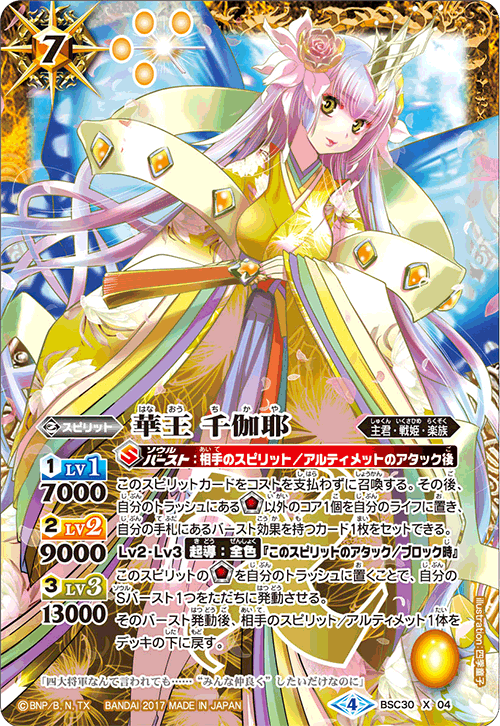 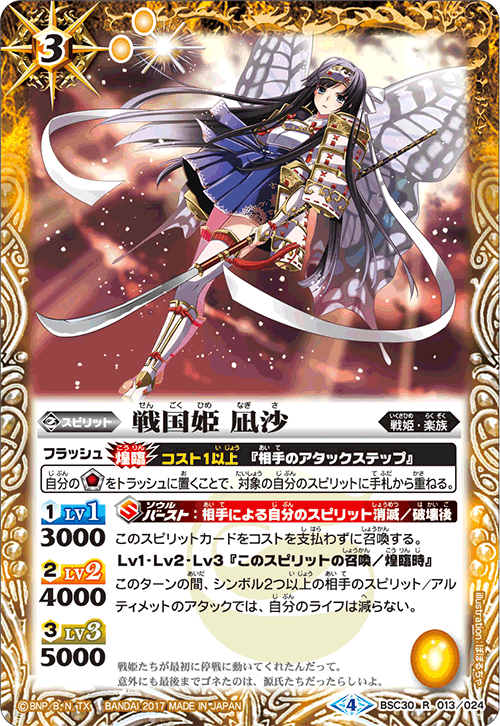 The main focus would be [The Flower Monarch, Chikaya], which you can summon easily after an attack, it also has [Catalyze: All color] which allows you to activate any Soul Burst ! 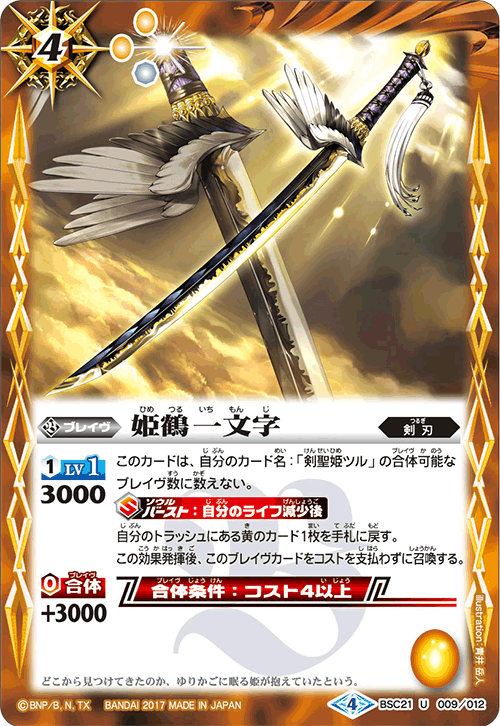 Brave [The Sword Saint Princess, Tsuru] and [Himetsuru Ichimonji] together and keep attacking. 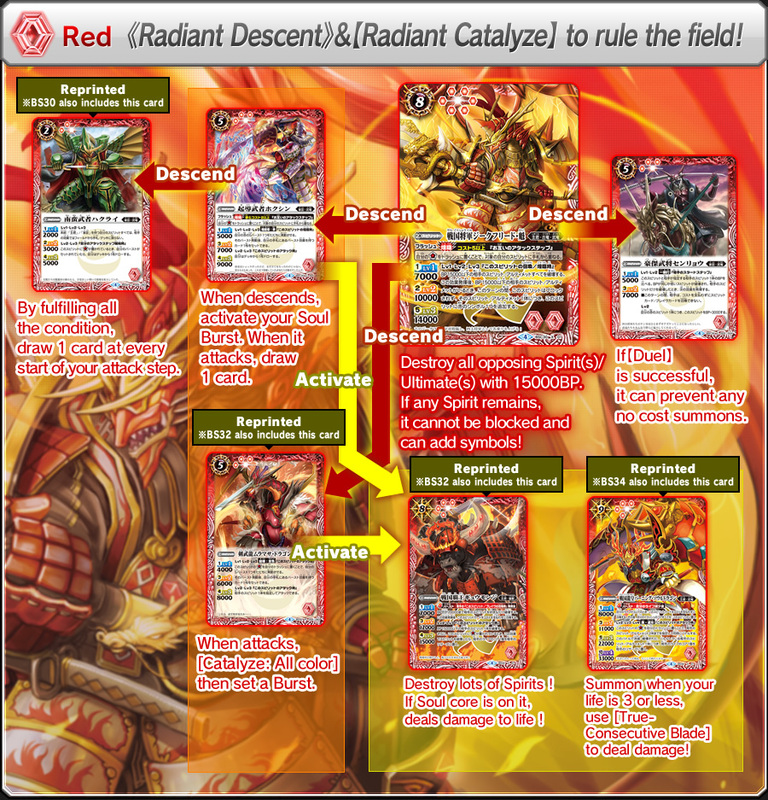 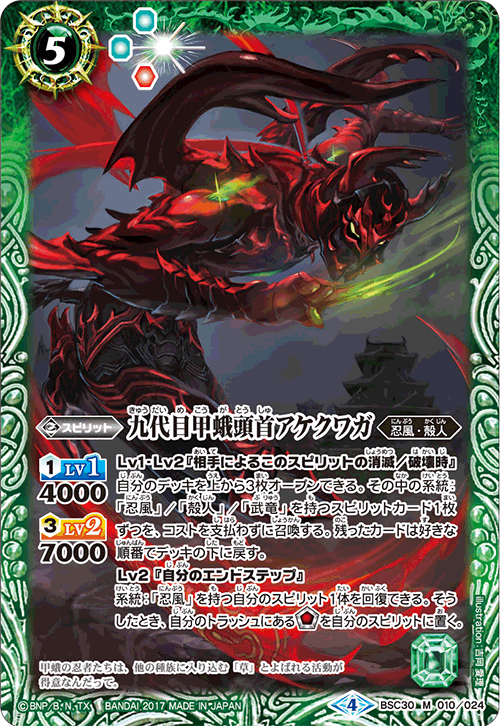 In [Return of the Burning Legends], Red color has 《Radiant Descent》, [Catalyze] and also the new [Radiant Catalyze] ! 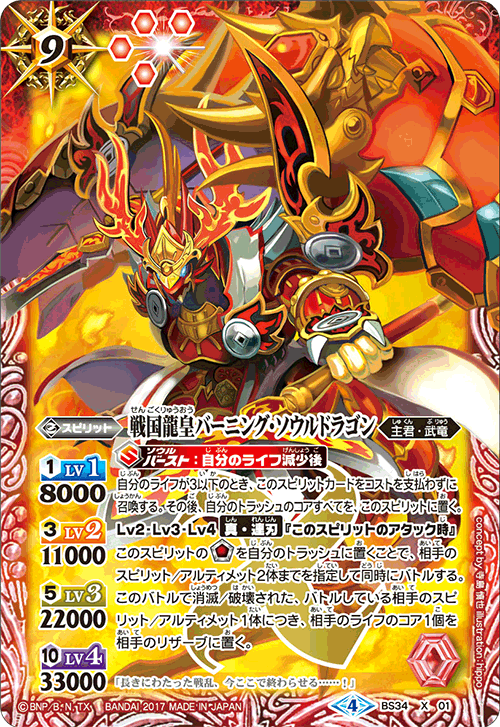 The all popular [Soul Burst], [The Sengoku Dragon Emperor, Burning Soul Dragon] and [The Sengoku Supreme King, Gyuumonji] are all included. 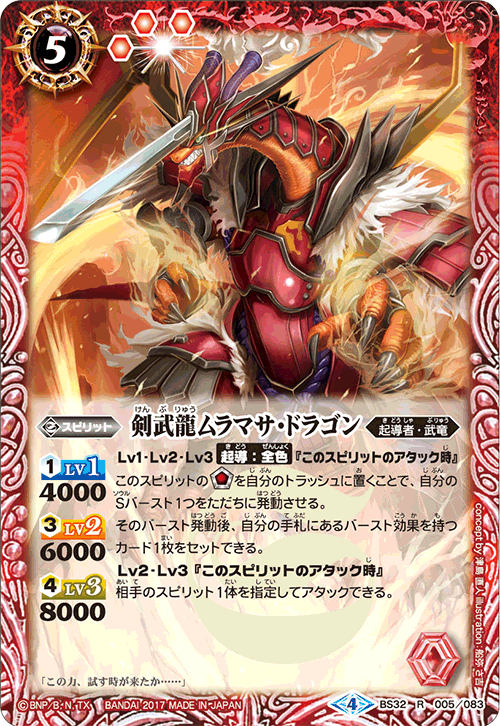 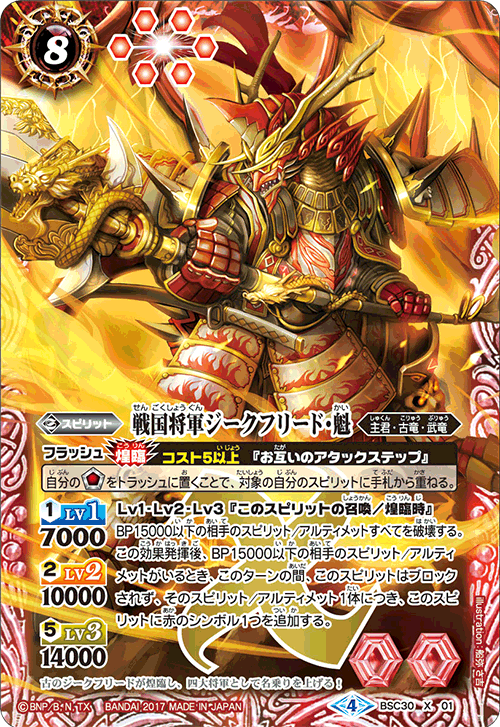 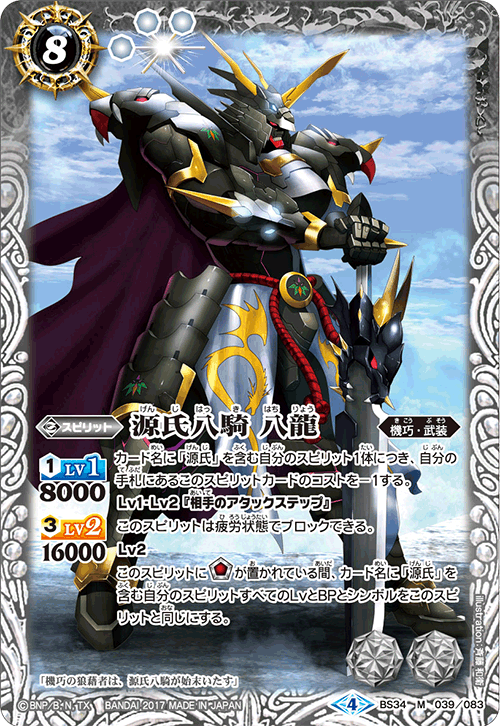 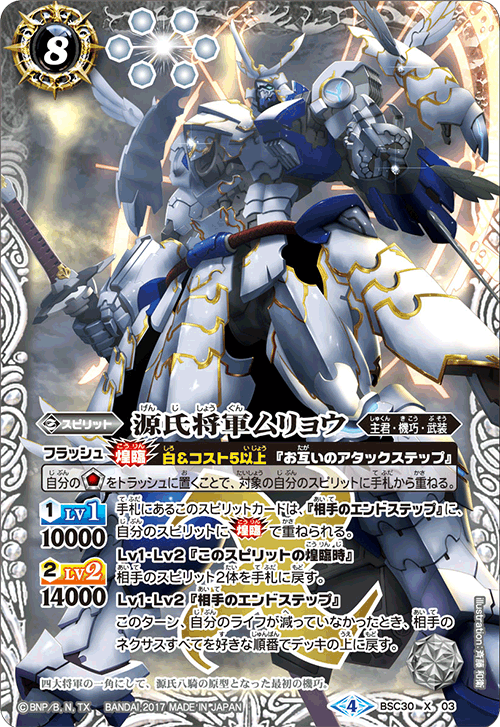 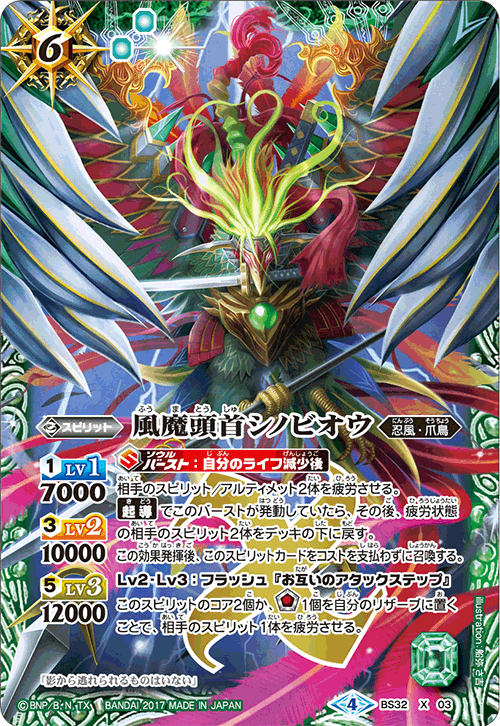 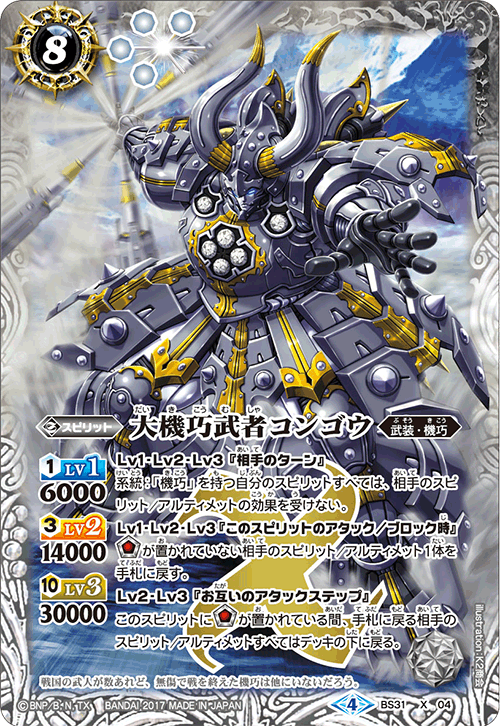 Descend [The Catalyzer Musha, Hokushin] onto [The Southern Musha, Hakurai] and use [Radiant Catalyze] to activate Burst - [The Sengoku Supreme King, Gyuumonji] for the perfect combo ! 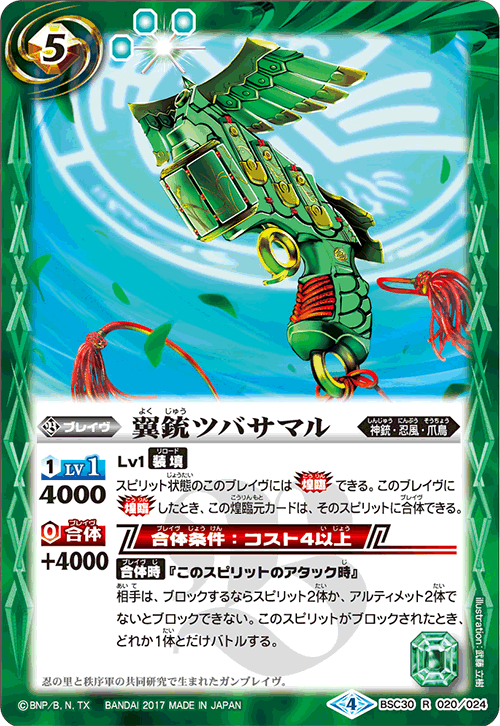 Prepare with 「Ninja Gale 」! 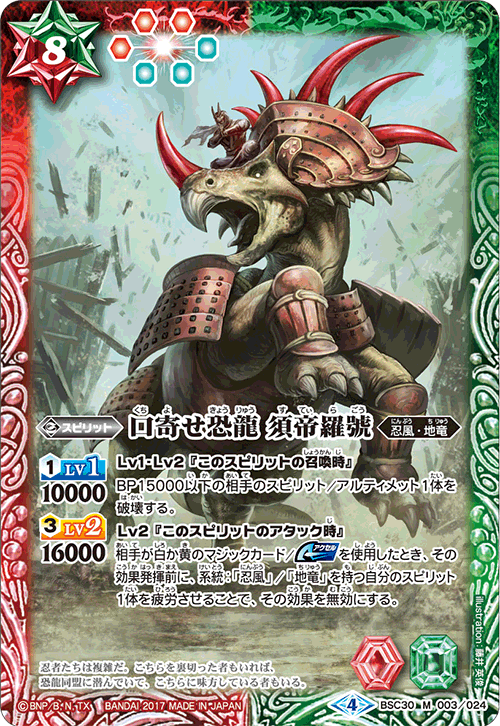 Onwards to battle with 「Ninja Gale 」! 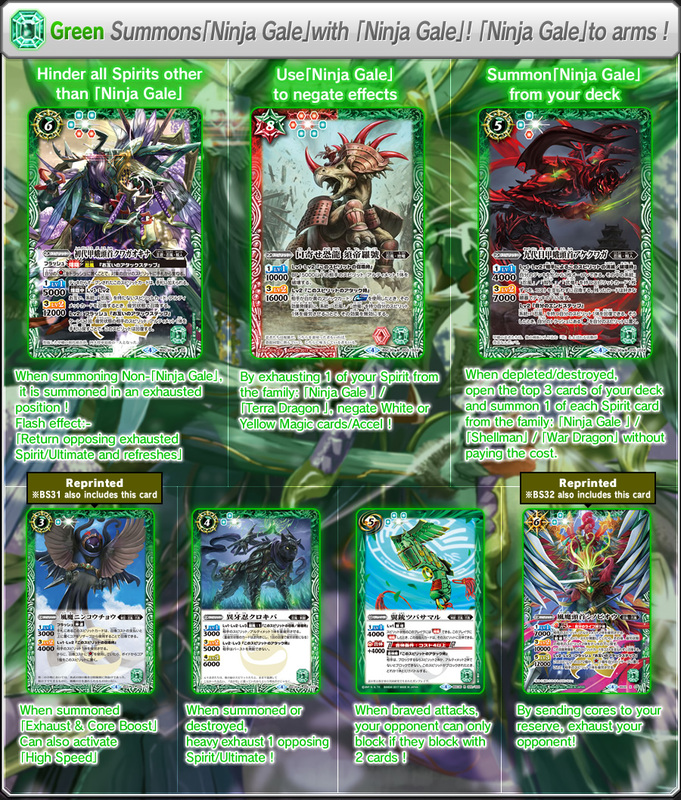 Build a strong and powerful deck with 「Ninja Gale 」 as its theme. 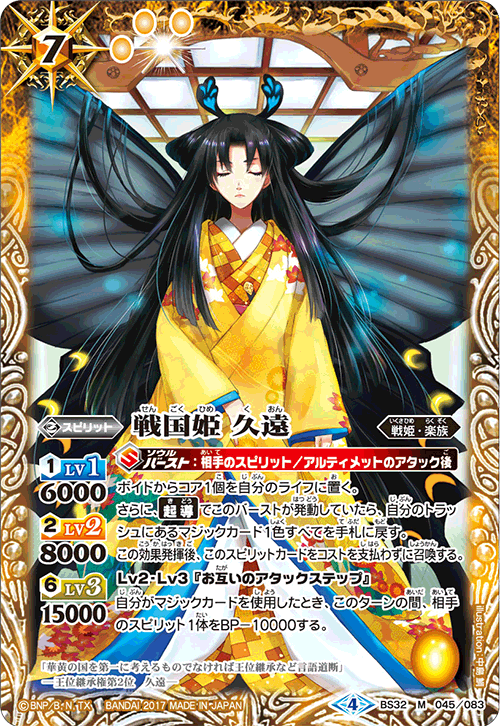 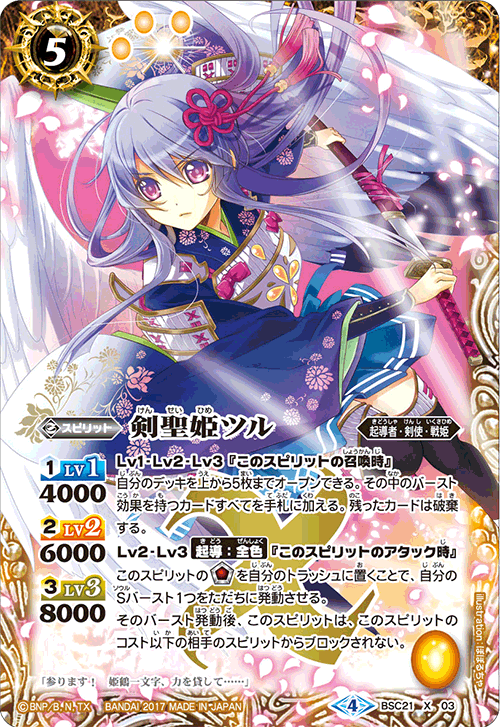 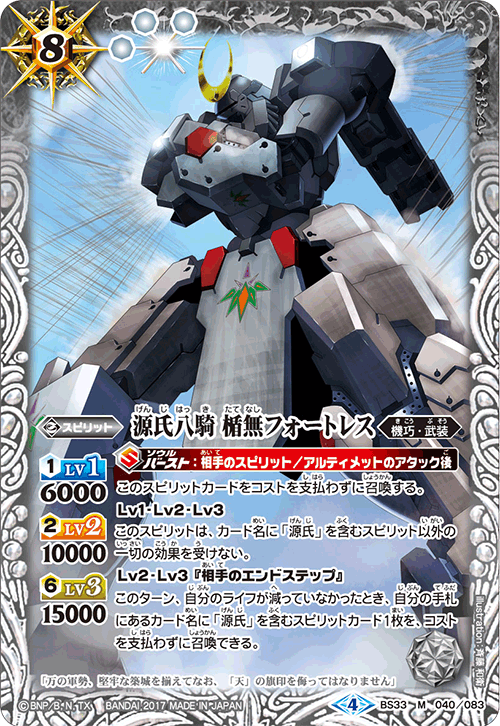 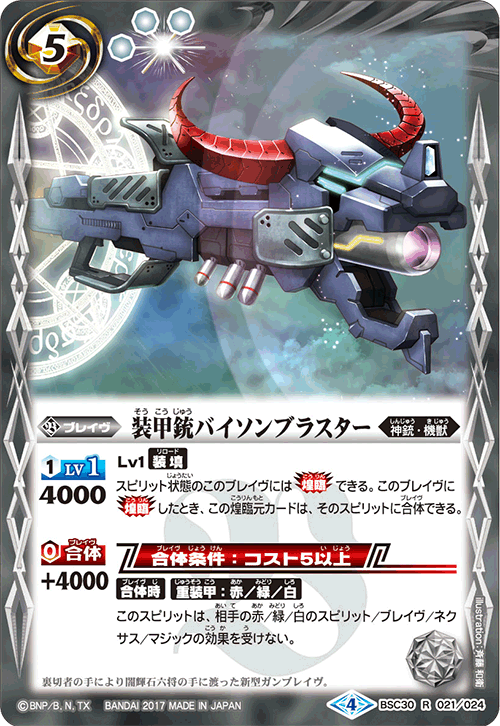 Works perfectly with【SD40】Mega Deck which shares the same 「Ninja Gale 」 theme to further strengthen the deck for easier use. 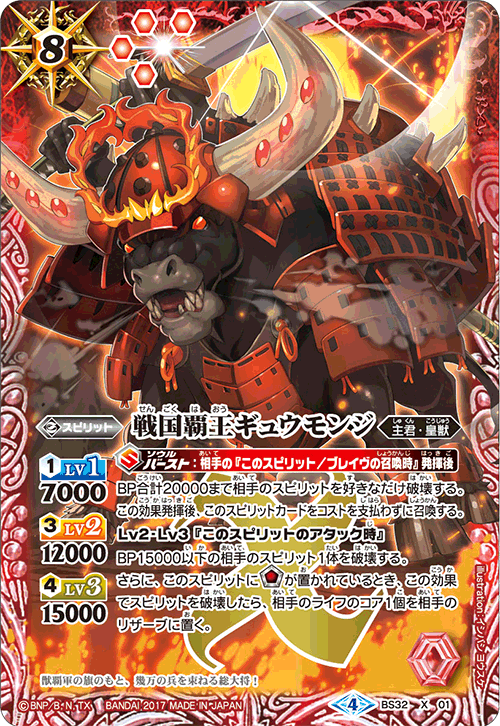 The key is [The First Koga Chief, Kuwaga Okina]. 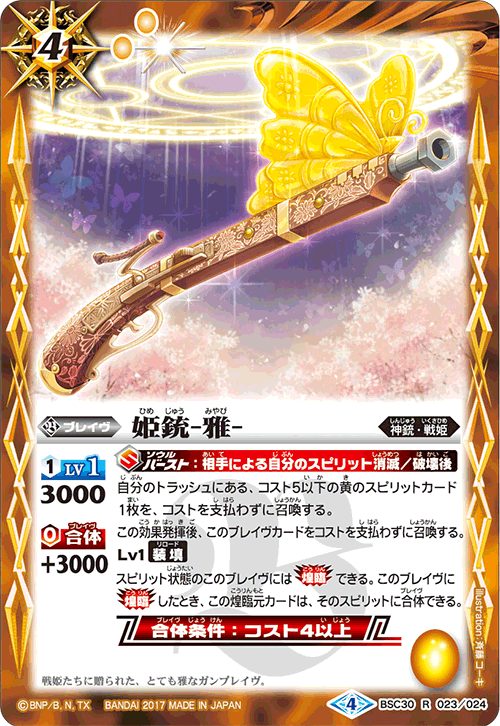 Aim to 《Radiant Descent》 early, it will greatly benefit the flow of the game on later stage ! 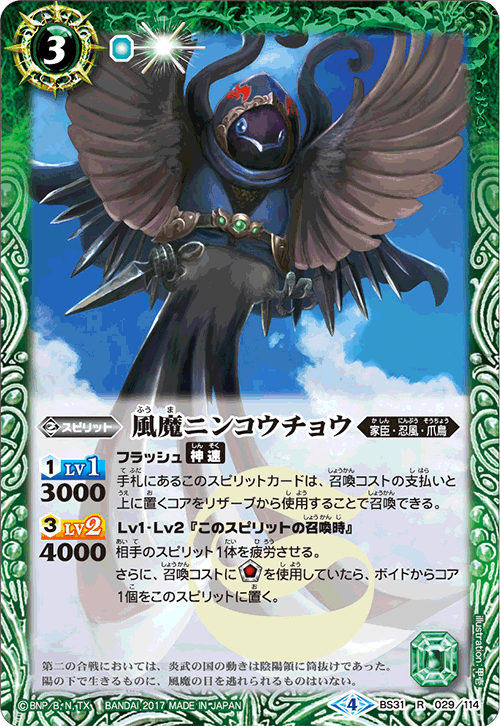 The only descend condition is 「Ninja Gale 」, make use of low cost 「Ninja Gale 」 to descend early !